MINI vehicles are known for being high quality vehicles that offer excellent performance and low emissions, making them a reliable vehicle option. When you own a MINI, you understand that it is important to find an auto repair shop that you can trust with your vehicle. At Auto-Master Complete Repair in Winter Park, FL, our ASE certified technicians are experienced working on all makes and models of MINI. Don’t’ settle for just any auto repair shop when it comes to a vehicle you’ve invested your money into. 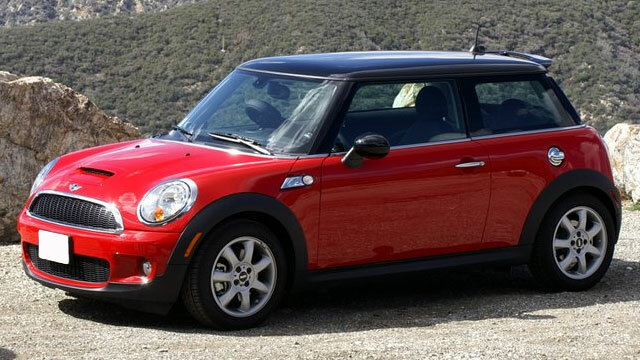 Bring your vehicle into the trusted choice for MINI repair in Winter Park. In order to keep your vehicle running in top condition for years to come, it is important to stay current with your vehicle’s recommended services and needed repairs. Our technicians can help with any service your MINI may need, including major repairs and scheduled maintenance. If you’re experiencing a problem with your MINI, bring your vehicle into our shop as soon as possible. Ignoring a small problem now can eventually turn into a larger problem if ignored. Our Winter Park auto repair shop has the latest, state-of-the-art computer diagnostic equipment to accurately diagnose and repair your vehicle. Our mechanics will determine the exact cause of the issue and get you back on the road quickly and safely. We are dedicated to providing excellent customer service and professional auto repair. If you need a service or repair for your MINI, bring your vehicle into the experts here at Auto-Masters Complete Repair. We look forward to seeing you soon!